Each year there are 5.2 million auto accidents in the United Sates with over 35,000 deaths. These accidents cause incredible trauma to the body usually in the form of whiplash which many times is not addressed properly by the medical establishment. Since 1999 our practice has treated numerous car accident patients who were initially seen in a local emergency room, or medical clinics such as Patient First, and who were not properly examined, diagnosed or treated. Typically, when patients are diagnosed with whiplash the “Big Three” are immediately prescribed, anti-inflammatory, pain relievers and muscle relaxers. Unfortunately poor diagnosis and treatment most often leads to long term degenerative conditions such as osteoarthritis, degenerative discs with damage to many ligaments and tendons. These degenerative conditions of the spine can also lead to long lasting and numerous health problems due to interference to the nervous system by misalignment of the spine (Subluxation). Our Progressive System of Care is committed to helping car accident victims deal with their pain and injury differently. We identify each patients specific problems and treat them now and for the future in a safe, effective, comprehensive and drug free way. Because whiplash affects the spine and central nervous system the symptoms can be extremely varied. When the spine is traumatized it can cause irritation or interference to the delicate spinal cord and nerve roots (Subluxation). Along with subluxation there may also be pain due the tearing of ligaments, muscle, tendons and even discs. 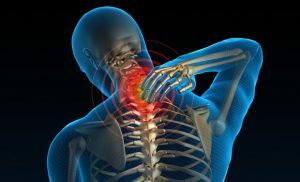 Typical symptoms of whiplash include neck or low back stiffness, joint pain, limited range of motion, headaches, muscle spasms, difficulty sleeping, tenderness, fatigue, pins and needles down the extremities, difficulty focusing on everyday tasks and a variety of other health issues. During a car accident the body experiences what is known as “acceleration/deceleration injuries”. The body, which is in motion, is brought to an abrupt halt throwing the head/neck and body forward with incredible force. There is then a rapid whipping motion in the opposite direction, hence the name “whiplash”. This rapid and forceful motion causes extreme, forced motion of the joints and tissues beyond their ability to move, tearing the ligaments, tendons, muscle and even discs. In most cases there are vertebrae that are not aligned properly or have normal range of motion which makes them much more susceptible tissue damage. When this damage occurs the tissues release substances that induce inflammation and increase sensitivity (pain) and the surrounding muscles will become hypertensive (spasm) in order to limited motion and protect the injured tissues. As with all conditions care starts with a comprehensive and thorough examination. This would include a Patient History, Palpation, Orthopedic and Neurological Testing and X-ray of the affected areas. When the injuries and their causes are identified a treatment plan is recommended. Treatment typically begins with reducing inflammation and muscle spasm with ice, heat, electric stimulation ultrasound and massage. When the pain and inflammation is properly reduced specific Chiropractic Adjustments are delivered. The adjustments restore proper motion and alignment to the affected vertebrae allowing the injured muscles, tendons and ligaments to heal properly without scarring and deformation. Most importantly adjustments help restore and maintain normal nerve function, which are vital to the proper function of all the body’s systems. The Progressive System of care has proven to be safe and effective in treating MVA induced injuries for over eighteen years. If you or someone you know has been involved in an automobile accident don’t wait for needed treatment!